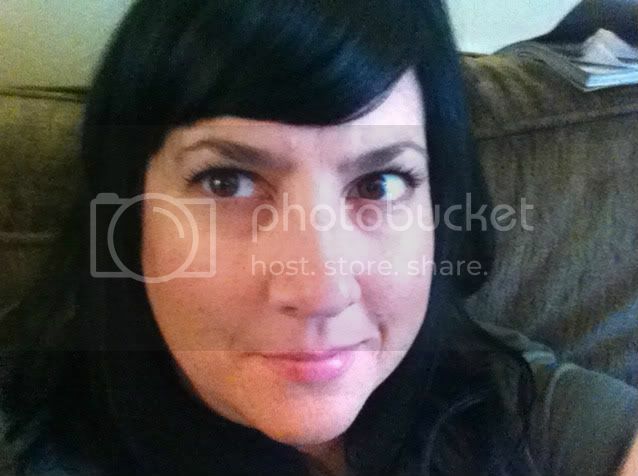 I’m finally back to blog-land! I was gone for work the past couple weeks and I ate some amazing (and some not so amazing) food while I was gone. (post coming soon) Sadly, I didn’t find any vegan nachos while I was away. But, I made some really yummy ones over the weekend with corn salsa. These might be a new favorite! The bed is baked Scoops because I like them and because they are totally cute AND useful! 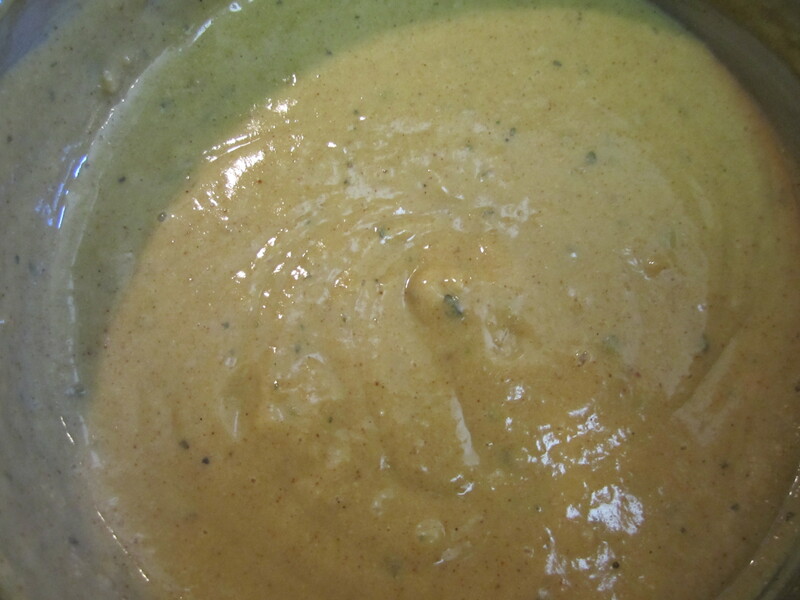 Over the Scoops I poured Happy Herbivore’s Quick Queso. This IS quick, and good! Then the nachos got a few dollops of soyrizo (really makes any nachos taste so much better!). And the ‘corny’ part of Corny Nachos- fresh corn salsa! I bought this pre-made at the grocery store (in the produce section). It has corn, onion, sweet red pepper, and jalapeno- all diced up nice and tiny. It was so fresh and delicious. The corn adds a nice bit of sweetness too. And the finishing touch was a few slices of avocado. Guacamole would be great here too, but I love fresh avocado. I sprinkled a tiny bit of sea salt over the slices. Slight Nacho Interruption & Some Great News! Tomorrow I leave for a big trade show for work. I’m going to Los Angeles (which is only 100 miles from home), but I’ll be gone the rest of this week, a short return for the weekend and then back for all of next week. I’m not sure how much blogging and/or nacho eating will be able to take place. I don’t have a laptop so that may prove to be a blogging issue. I’ll try to blog about all the fabulous vegan food I plan to stuff my face with though! And now for the great news: I received my letter today stating that I passed the AFAA Primary Group Exercise Instructor certification test! 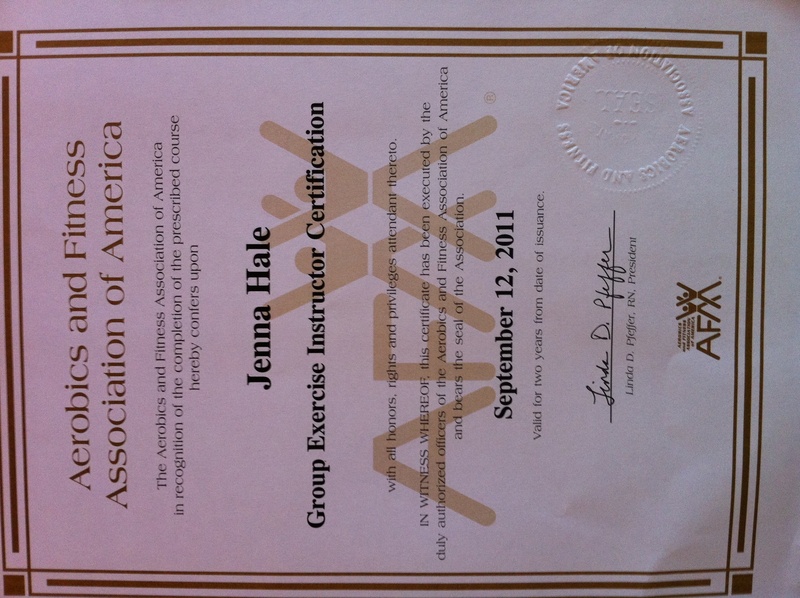 That means I can officially teach aerobics and other formats of group exercise at a gym or wherever- and get paid for it! :) I wrote about my training day here. i wanna be the next richard simmons! Have a fabulous week my friends! Tonight’s nachos were pretty traditional and simple. But I have to be honest- I licked the plate clean (literally)! I whipped up the Nacho Cheez Sauce and Dip from The Ultimate Uncheese Cookbook by Jo Stepaniak. This book has yet to disappoint. Every recipe I’ve made has been a hit. And of course, tonight was no different. The Nacho sauce was spicy and deliciously noochy (that’s slang for nutritional yeast if you’re outta the loop somehow) ;). The sauce comes together in less than 10 minutes and it combines nutritional yeast (the gold standard of ‘cheesiness’ in vegan cheese sauces), all kinds of spices like chili powder, paprika, and cayenne and mild miso for even more cheesiness. The recipe calls for either water or nondairy milk, so I used half of each. I wanted to make sure it was creamy but also wanted to save on some calories by using some water. I used half regular baked tortilla chips and half blue just for some fun color. I layered on a nice serving of the delicious nacho sauce. I added a bit of Mexican-style meatless ground and topped it all off with some fresh pico de gallo. Traditional nachos with traditional vegan cheese sauce- I could live on this stuff! (and, um, apparently I do!) 30 Days of Nachos!! Now that I’m always talking, writing, thinking about, and eating nachos, other people are sharing their nacho goodness with me! So today, I’m taking a break from posting about my nachos and I wanted to share a couple recipes from some internet friends. 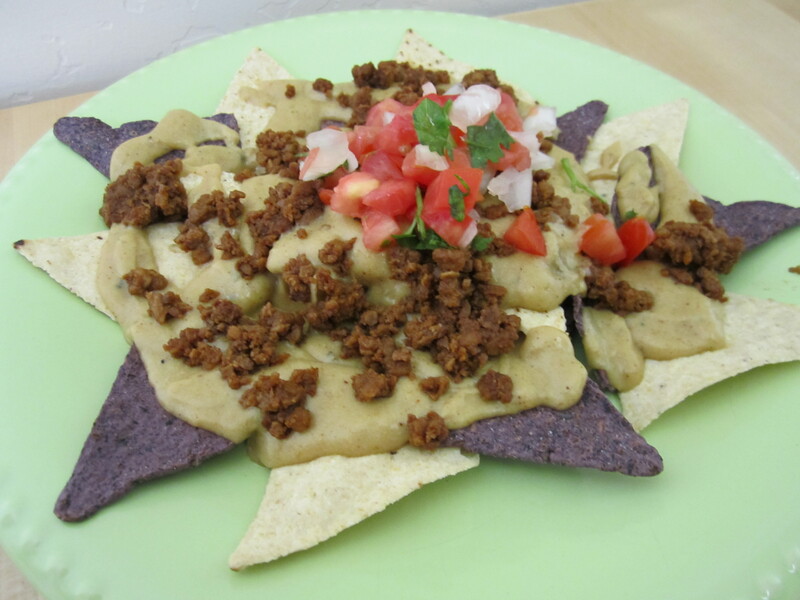 Yesterday, Ty over at Camera Phone Vegan.com posted a recipe for her Cheesy Beefy Vegan Nachos! These look and sound so good! 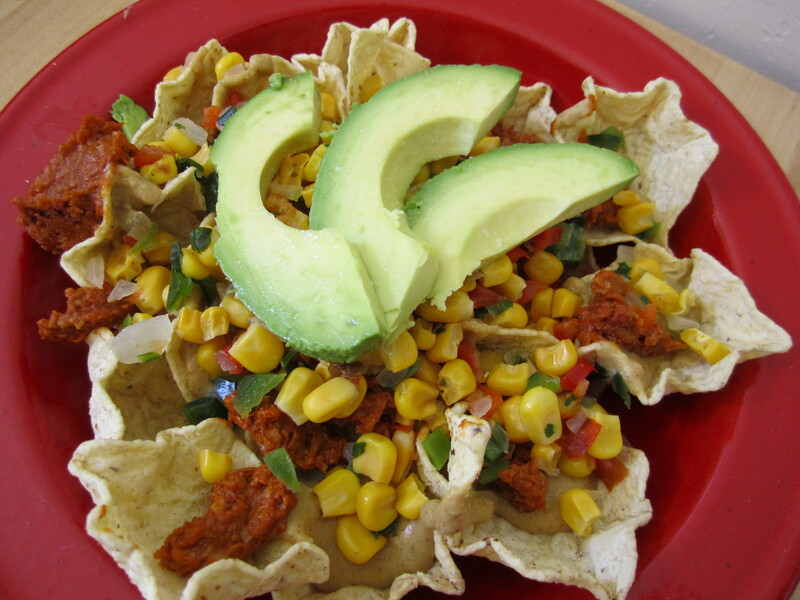 She actually has two variations on the nachos- so be sure to click around on her fun blog! And today, Shelley, of Rosewater and Thyme.com was featured on One Green Planet.org with a recipe for Greek Nachos!! Holy moly! I was actually planning to make some sort of nachos with pita chips as a base, but I might just have to skip it and make these! They are gorgeous! I hope everyone has a fabulous weekend! I’m heading out of town tomorrow for a cardio hip hop instructor training class! To say that I love guacamole is an understatement. I’m obsessed with in. 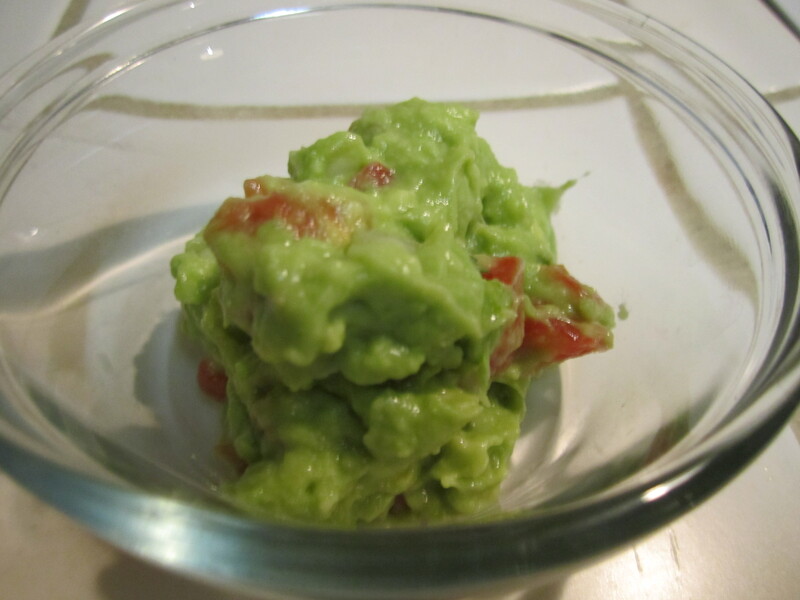 Growing up, my dad made THE BEST guacamole. Actually, he still makes it, but I don’t live with him anymore so I can’t have it on demand! eat it on EVERYTHING! Especially nachos! 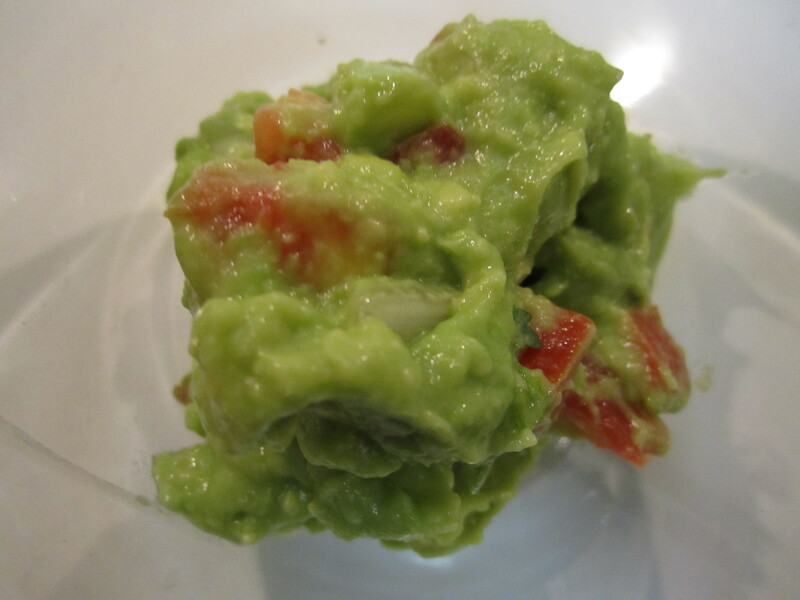 If you have any leftover (not likely if you’re me), put a layer of plastic wrap directly on top of the guac and then put another layer over the bowl and store in the fridge. If the top turns brown, just mix it up. Eat it within a day or two at the most.